Plurals Winter 2015 Tour Dates Announced! 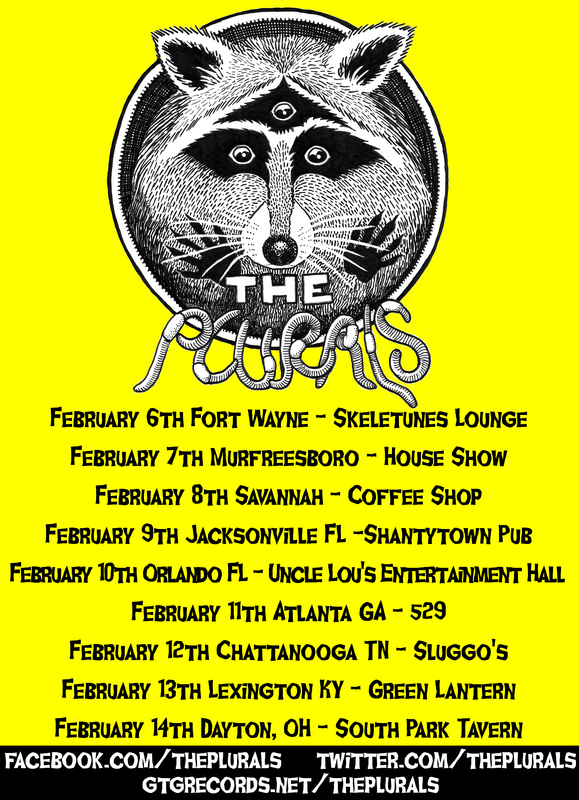 The Plurals just announced a run through the southeast for these winter blues! Stay tuned to facebook and stuff for more information! This entry was posted in GTG Records, The Plurals, Tour and tagged GTG Records, raccoon, southeast, The Plurals, Tour Dates, Winter, Winter Break. Bookmark the permalink.